If you have any questions about the NORD STAR information page below please contact us. The work of the Timmerman Yachts shipyard in Russia the NORD STAR is 35 metre 110 (foot) in length. 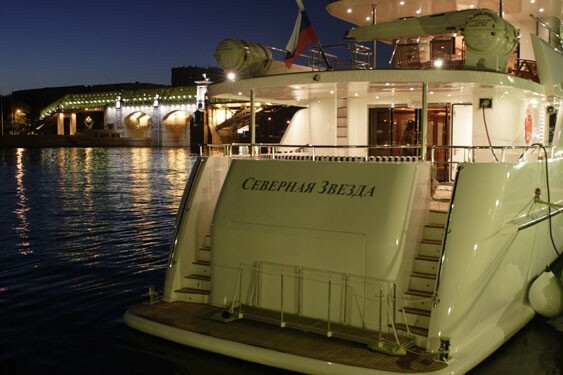 Ready for launch by 2005 her interior decoration demonstrates the capabilities from Moscow Shipyard and their approach to interior yacht design. 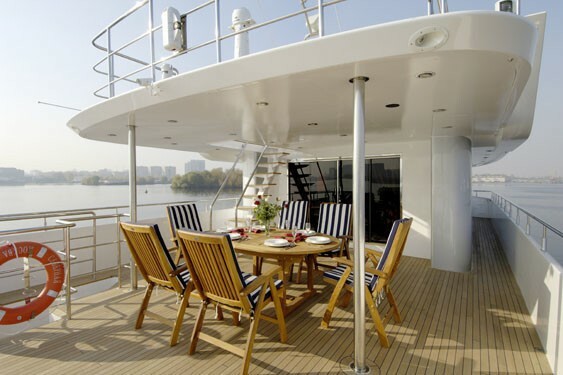 Superyacht NORD STAR is able to accommodate up to 8 guests with 5 crew. Her old, former or build project names are O-110-1. Moscow Shipyard was the naval architecture company involved in the technical superyacht design work for NORD STAR. Also the company Moscow Shipyard successfully worked on this undertaking. 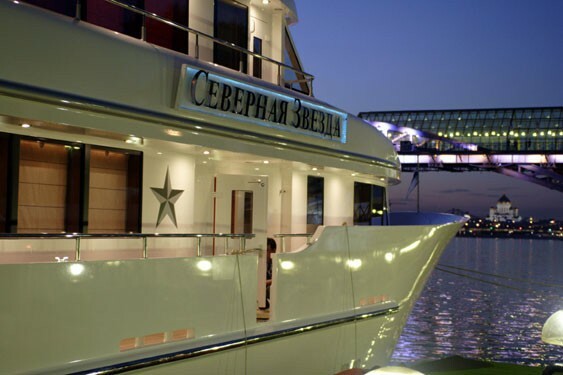 Interior designer Moscow Shipyard was commissioned for the overall interior styling. Russia is the country that Timmerman Yachts built their new build motor yacht in. After her official launch in 2005 in Moscow she was thereafter released to the proud new owner having completed sea trials. The core hull was crafted from steel. The motor yacht superstructure component is fabricated extensively using aluminium alloy. 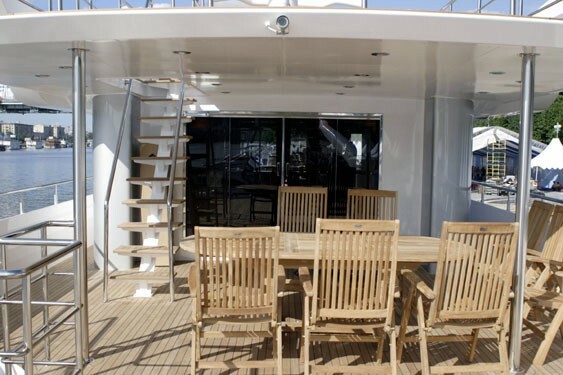 With a width of 6.7 metres or 22.31 ft NORD STAR has moderate internal space. A fairly shallow draught of 1.6m (5.25ft) affects the list of worldwide ports she can berth in, taking into account their specific depth at low tide. The 3196 engine installed in the motor yacht is produced by CATERPILLAR. For propulsion NORD STAR has twin screw propellers. The engine of the yacht creates 385 horse power (or 283 kilowatts). She is fitted with 2 engines. The combined thrust for the yacht is therefore 770 HP or 566 KW. Apportioning space for a limit of 8 welcome guests overnighting, the NORD STAR accommodates them comfortably. The boat requires circa 5 able crew members to run. 34.56 metres / 110 feet. 1500 at a speed of 11 knots. 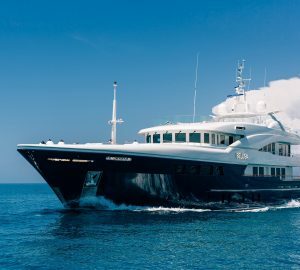 The luxury yacht NORD STAR displayed on this page is merely informational and she is not necessarily available for yacht charter or for sale, nor is she represented or marketed in anyway by CharterWorld. This web page and the superyacht information contained herein is not contractual. All yacht specifications and informations are displayed in good faith but CharterWorld does not warrant or assume any legal liability or responsibility for the current accuracy, completeness, validity, or usefulness of any superyacht information and/or images displayed. All boat information is subject to change without prior notice and may not be current.